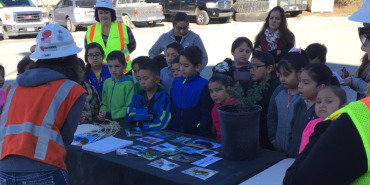 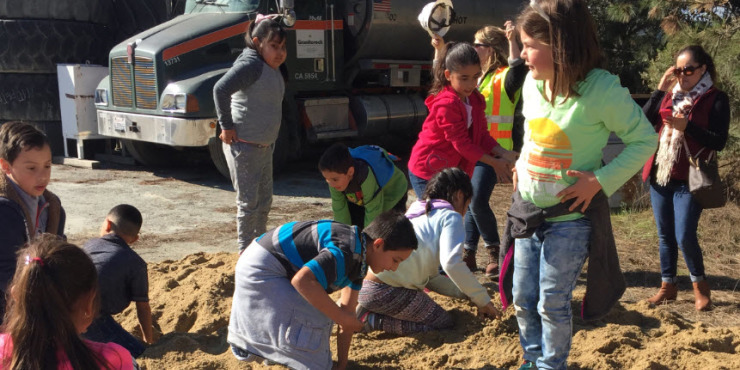 On a crisp Friday in November, 95 second graders from La Jolla Elementary School in Salinas came to the A.R. 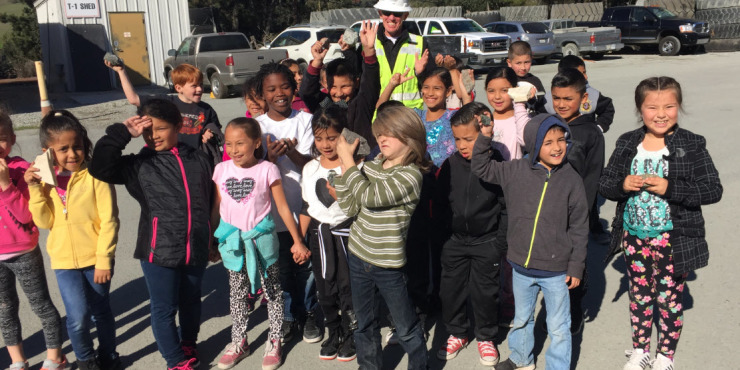 Wilson Quarry in Aromas to see how rock gets harvested and used to create different materials for construction. 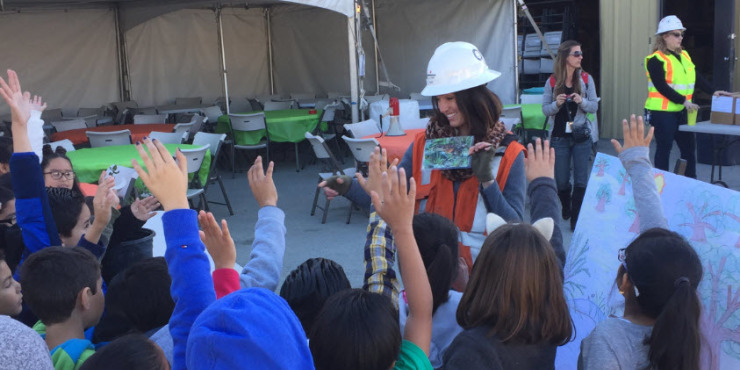 Geologist Jon Erskine and Environmental Specialist Alex Simons led talks and activities with the kids while Project Engineer J.P. Holcomb led bus tours throughout the quarry. The kids also enjoyed a sandpit treasure hunt for a little souvenir to take home from their day at Graniterock.